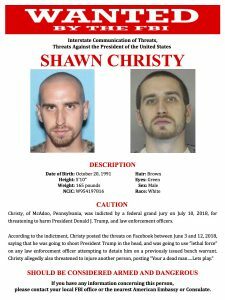 Police in West Virginia have recovered a van believed to have been stolen by a Pennsylvania fugitive who has been on the run for more than a month after threatening on social media to assassinate President Trump and use “full lethal force on any law enforcement officer” who tries to detain him. The FBI, U.S. 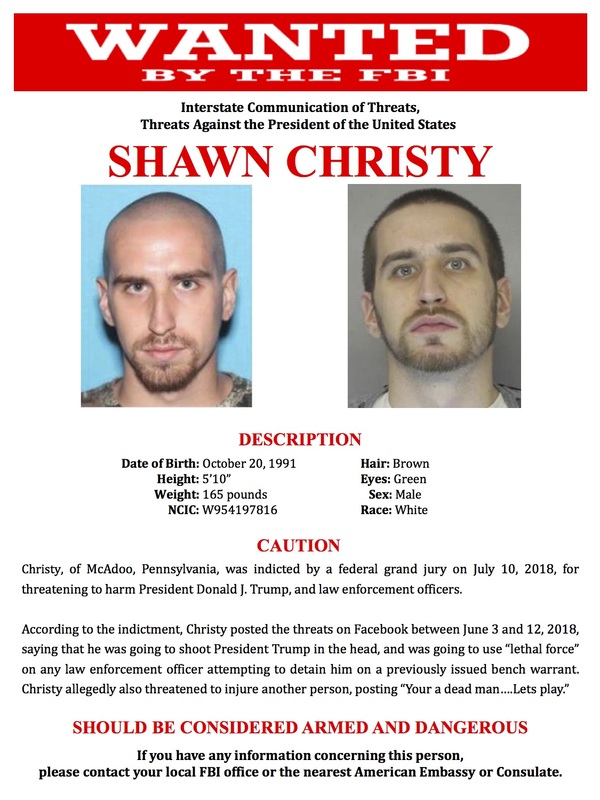 Marshals Service and local and state police have been trying to track down 26-year-old Shawn R. Christy, who threatened on Facebook in June to shoot Trump and the Northampton County district attorney in the head. A federal arrest warrant was issued on June 19, and authorities believe he is armed with at least three stolen handguns. 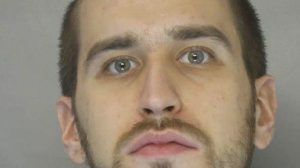 The FBI’s Pittsburgh office said on Twitter that the stolen van was recovered near Nitro, W.V., on Tuesday and has been impounded. The FBI is offering a $10,000 reward for information leading to his arrest. Christy has a history of threatening elected officials. Anyone with information on Christy’s location is asked to call the FBI at 610-433-6488 or 215-418-4000, or the U.S. Marshals Service at 877-926-8332.